The Project Room features the work of Donna Festa. Thirty Portraits captures Festa's unique point of view. According to the artist, "We wear our lives on our faces. These portraits are of people I've known or who have caught my eye. Each face tells a story in its own quiet way." Using oil on wood, Festa makes each painting quickly, in one sitting, in order to keep the loose, fresh quality of a sketch. The size is intentionally small in purposeful contrast with the loud and inflated society reflected in so much contemporary art. 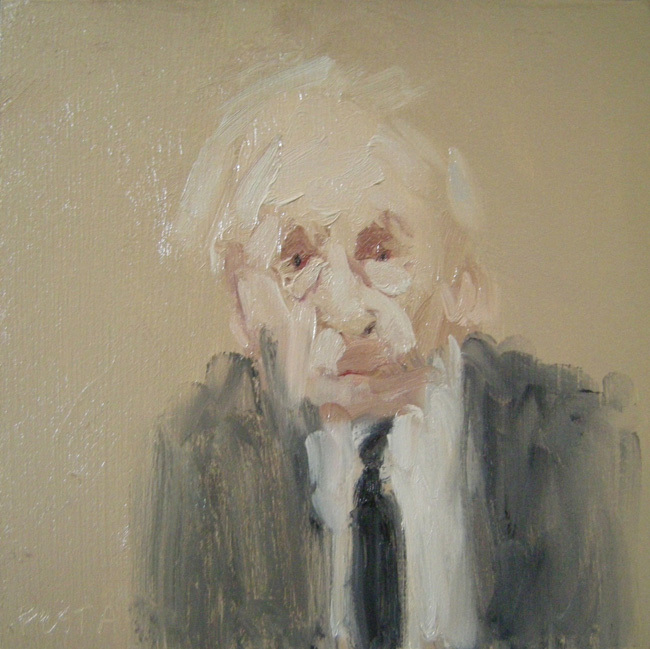 She is attached, in a visceral way, to the fluidity of oil paint and the nuanced textures and lighting it facilitates, as well as traditions in portrait painting. A small sampling of Festa’s paintings was seen at The Painting Center in last year’s group exhibition Grey Matter. Robert Fontaine of the eponymous gallery has said "Donna relays her subject matter with remarkable vulnerability and at times, a chilling sense of clairvoyance. The distant gazes of her characters thinly veil a solid acceptance of their circumstances. 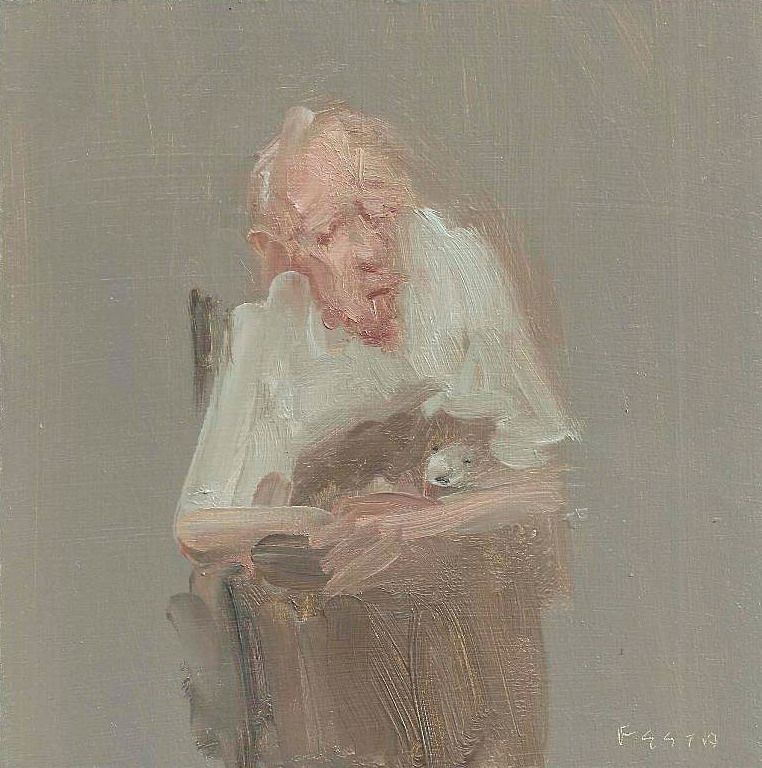 Often depicting glimpses of the elderly, Festa creates anuninterrupted conversation between the observer and observed." Festa’s paintings can be found at the Sara Nightingale Gallery in Water Mill, New York and at the Robert Fontaine Gallery in Miami, Florida. Her work has been shown at various venues in Philadelphia, New York City, Chicago, and Miami and can be found in both private and public collections.